Unfortunately this box is currently out of stock. We will be making more soon. 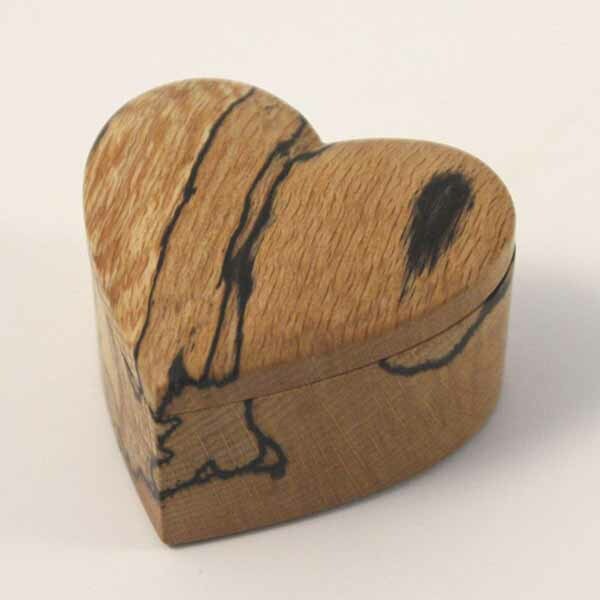 The grain of the Spalted Beech gives this heart shaped box a beautiful mottled pattern. It’s great as special keepsake box for earrings, rings or cufflinks. It’s made by Alec Garner. The top swings open to reveal a black velvet lined interior.